The latest update for the Zedbull has extended the cloning applications still further. Now it is possible to clone the Texas 8C transponder mainly used in Mazda and some Ford applications say Hickleys. 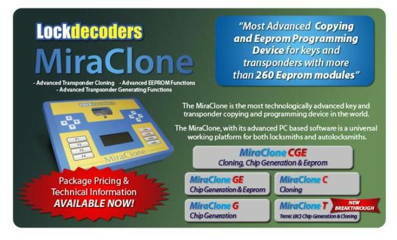 This new cloning ability is carried out simply and quickly without the need of a PC, Internet, or going to the vehicle. "It is a simple read and write process and it is done." Security Excellence Awards 2013: Winners revealed! With close to 1,000 attendees, the highly coveted Security Excellence Awards, organised by UBM Live, took place during a Black Tie gala ceremony at London's prestigious Hilton Hotel, Park Lane on 23rd October 2013. Bitlock lets cyclists lock and unlock a bicycle with nothing other than a Bluetooth-enabled smartphone. What new technologies are coming to market to help protect Aviation, Maritime, Public Transport and Supply Chain Security? Find out by visiting Transport Security Expo 13-14 November 2013. Register now for London's premier security event showcasing the very latest systems for Explosive Detection, Perimeter Security, Access Control, CCTV, Systems Integration and much more. Christopher Hyman, the chief executive of security giant Serco, which is facing an investigation after the British government was overcharged millions of pounds for electronically tagging criminals, has resigned, the company has announced. Listers, the distributor of builders hardware and architectural ironmongery is pleased to announce the appointment of Marcus Gillan as Regional Sales Representative for Scotland. 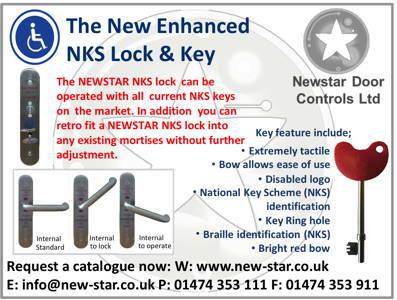 Despite the extensive roadworks in and around Nottingham and the closeness of the MLA show, attendance at this year's Auto Locksmith's event was only marginally down on 2012 - exhibitors reported a good turnover of visitors and some very good orders taken by discerning customers.